I've heard... is it true? Most of the rumors are true. We know using a turk can be a little disconcerting to think about if you've never used one before. These are easily the most common toilets in Morocco, although western toilets are also common, particularly in the north. Really, using a turk isn't so difficult, as demonstrated here. In fact, most volunteers come to prefer them given the state of public restroom cleanliness. Besides, they're better for your health. On a related note, toilet paper is not always used in Morocco. Check out the Right Hand vs. Left Hand section to the right. However, it is available at every 7anut (store). It will usually NOT be found in public restrooms, so traveling with a roll will become a habit whenever you leave your site. 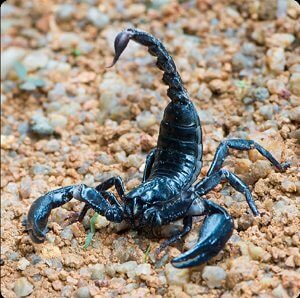 Scorpions, though not often found in the north, are seen from time to time. They like to sneak into houses every once in a while and nestle in shoes. Volunteers rarely, if ever, get stung. Just check anything with a cozy opening before you use it: shoes, turks, pots, etc. Yes, camel spiders are real, they are here in Morocco, and they move fast. Moroccans call them "wind scorpions", as they are purported to come in on the wind. Camel spiders are typically found around Marrakesh and throughout the south, east, and southeastern mountains. How you use your hands is an important aspect of living in Morocco. As a general rule, your right hand is for use in public (shaking hands and eating) and your left hand is for use in private (cleaning yourself in the bathroom). This rule has certain exceptions that you will observe and imitate in your training and final sites. During meals, for example, you are free to use both hands. You break off a piece of bread and use it to pick up the food in the common dish in the center of the table. While reaching into the common dish, you are expected to use your right hand only. While you will use your hands for most meals, there are some dishes like couscous (the national dish) that are usually served with spoons. The best rule of thumb while eating - and with your service in general - is to observe and imitate the people sitting around you. 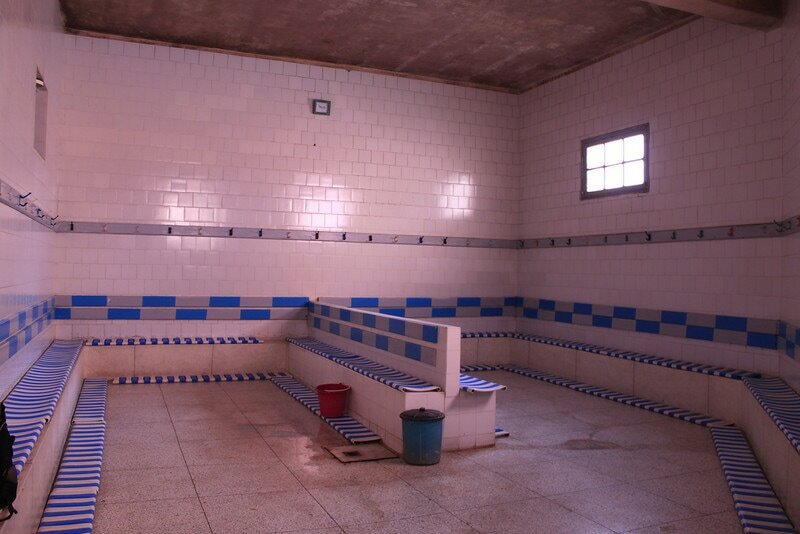 7mmams are public bath houses. Most sites, but not all, have at least one. After stripping down to your underwear, you will take any combination of soap, shampoo, razor, toothbrush, buckets, ladle, and stool, and you will walk through two or three increasingly hotter rooms. In the hottest room you will find a cistern of scalding hot water and one of cold water. Here's where you will fill your buckets. Then, feel free to sit anywhere that isn't upstream or downstream from another bather, and sweat out all the dirt in your pores. You can even get a massage! Specifics of 7mmam etiquette will be covered during your training. Many houses, particularly in the south and east, are made from mud and straw. These houses have a tendency to drop small pieces of themselves onto everything in your house. This may be annoying, but such houses are much cooler in the summer and warmer in the winter than newer, cement houses.